Konstantin Lavronenko, Mariya Mironova, Viktor Stepanyan et al. On December 7th 1988 Armenia was hit by a massive earthquake that claimed the lives of 25,000 people and destroyed several cities. 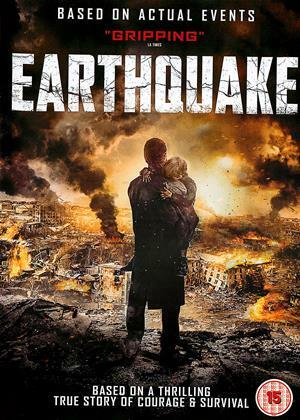 On the day of the quake, two men arrive in their home town only to be caught up in the terrible events and must work together to rescue as many people as they can before the aftershocks hit. 'Earthquake' is a thrilling true story about loss, survival and the courage ordinary people can show under extraordinary circumstances. A disappointing depressing movie with terrible acting and dubbed in English, not what I was expecting.